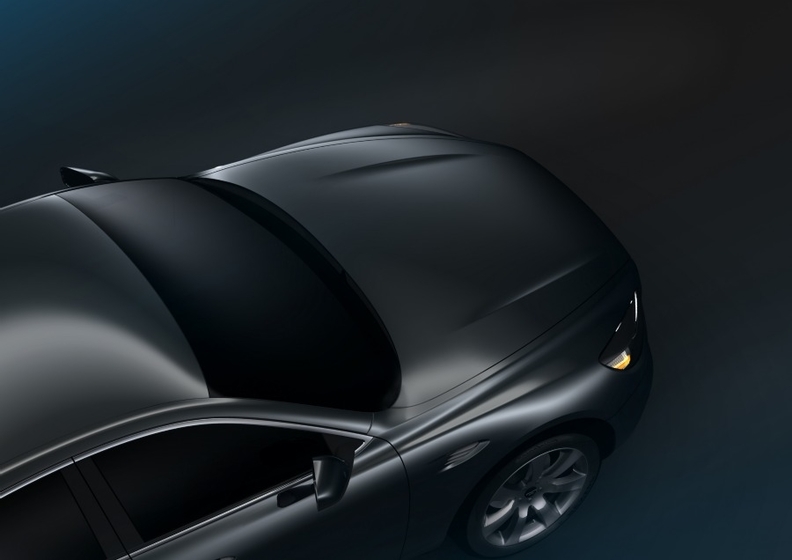 The SLC, shown here in a teaser shot, is set to go into production next year. Former Fiat marketing executive Gian Mario Rossignolo will use the Geneva auto show next month to relaunch De Tomaso, seven years after the Italian sports car brand collapsed though bankruptcy. Rossignolo's new De Tomaso company will unveil a Pininfarina-designed concept for a premium large crossover, dubbed SLC (sport luxury car) that would be a rival to cars such as the BMW 5-series GT and Lexus RX-450h. The four-wheel-drive SLC is set to go into production next year using two gasoline engines, a 550-hp V-8 and a 300-hp V-6, and a 250-hp V-6 diesel unit. It will not be sold as the SLC, but the final name has not been decided. Rossignolo plans to build 3,000 units a year of the SLC large crossover, as well as 3,000 luxury sedans and 2,000 coupes. The cars will be built at De Tomaso Automobili S.p.A. plant, a former Pininfarina S.p.A. factory near Turin. Rossignolo has been promoting for the past six years his business plan for a three-model range of aluminum vehicles based on an innovative construction technology called Univis. According to Rossignolo, Univis requires just about 30 dies to build a vehicle. The De Tomaso brand was founded in 1959 in Modena by former Argentinean racing driver Alejandro De Tomaso and became an iconic sports car marque in the 1960s and 1970s with three coupes - the 1963 Vallelunga, the 1966 Mangusta and the 1970 Pantera. 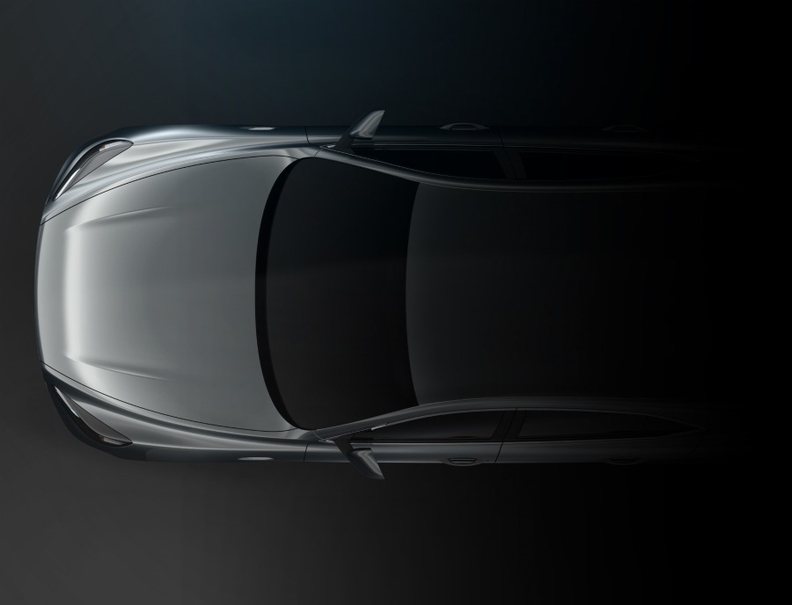 The final name for the SLC, shown here in a teaser shot, has not been decided. The company filed for bankruptcy in 2004, a year after De Tomaso's death. Rossignolo, 80, bought the marque from a Modena bankruptcy court in November 2009. During a 22-year career with Fiat group, Rossignolo was a top marketing executive at the company and CEO of the Italian automaker's Lancia brand from 1977 to 1979. 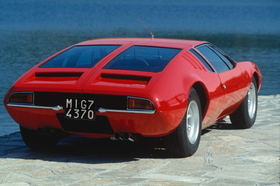 The De Tomaso badge appeared on cars such as the Mangusta. The flamboyant businessman three years ago failed to buy Bertone's contract manufacturing business for his De Tomaso car project. Bertone's coachbuilding operations have since been bought by Fiat. In December 2009, Rossignolo signed a deal to rent Pininfarina's factory in Grugliasco, in the western outskirts of Turin, one of three Pininfarina plants. Rossignolo said his new De Tomaso company will invest 116 million euros ($172 million) in its rebirth project. The Grugliasco plan currently employs 900 people and includes a body shop, paint shop and final assembly facility.